The only conference for makers that marries skill building with brand building. 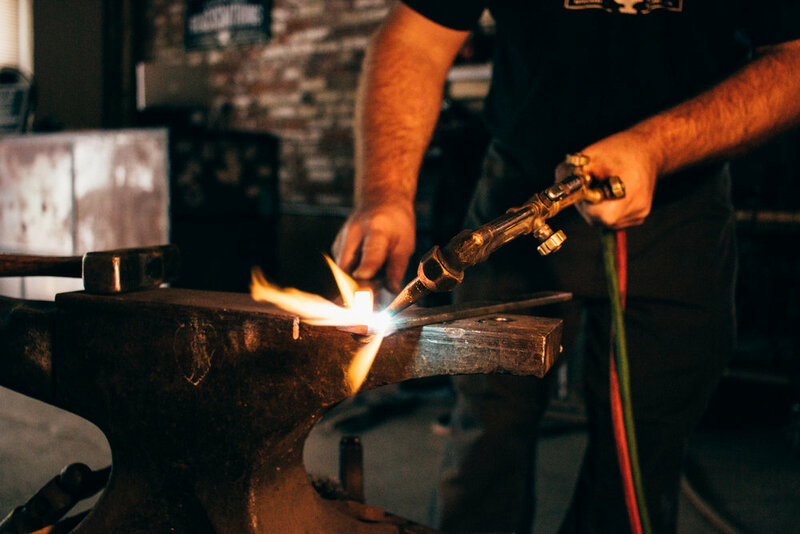 We’re excited to announce that we will be teaching a Blacksmithing Crash Course at this year’s Spring Make hosted by Lincoln Electric and Rigid Tools. Spring Make will take place at Tenk West in the flats and is open to all interested in metalworking, woodworking, mixed media, and creative technology. If you’re intersted in attending this 3-day conference, you can sign up below with coupon code CLEBLACKSMITH and receive $100 off the ticket price! Going into the new year, we’d love to offer the opportunity to practice functional shop skills to those interested in assisting Gavin during a Beginners Blacksmithing class in trade for free shop time during member nights. While we haven’t worked through the details quite yet, we would love to know who’s interested. If that’s you, just add your name to the form below and we’ll get in touch once we have more info. We're flexible! This is just to get an idea of when you're prefer to work. * We will be closed from April 24th - May 13th for shop renovations. Use your unique member discount code to save on classes. See your welcome email or contact us!